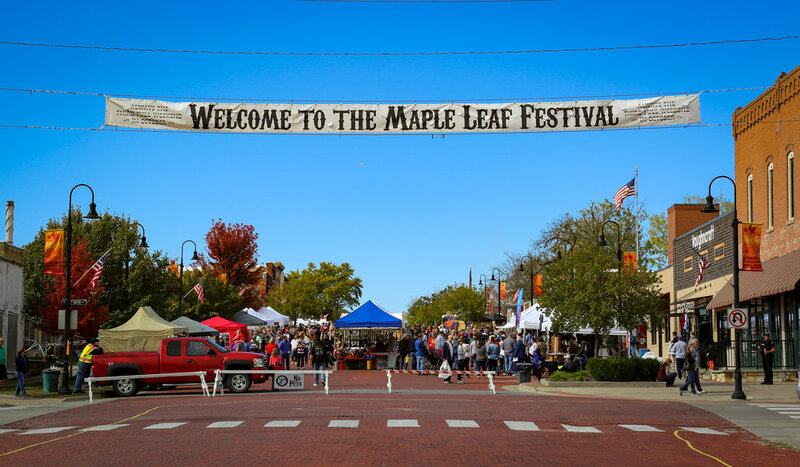 The Maple Leaf Festival began as a community event in 1958, inspired by Dr. Ivan Boyd, a biology professor at Baker University as well as Dr. Charles Doudna, Bill Horn, Leo Smith and C. R. Whitley. Dr. Boyd noted that the third weekend in October was the optimum time to view the changing colors of the Maple Leaves in the area and the perfect time to celebrate the successful harvest. 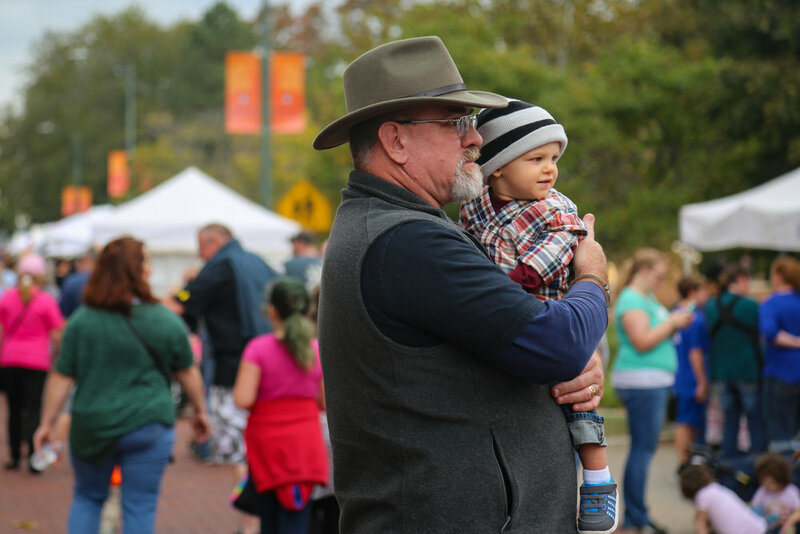 60 years later, with over 300 craft exhibits, quilt shows and displays, performing arts, music, unique food items and activities for the family, the Maple Leaf Festival is the biggest fall family event in the area and provides an opportunity for local non-profit organizations to raise funds. The two day festival occurs on the third full weekend of October. Booths line the main streets of town, 8th and High, and populate the local fire house. In addition, local businesses offer event-only merchandise in and outside their stores. Vendor eligibility and important information can be found in our Rules & Regulations Guide. 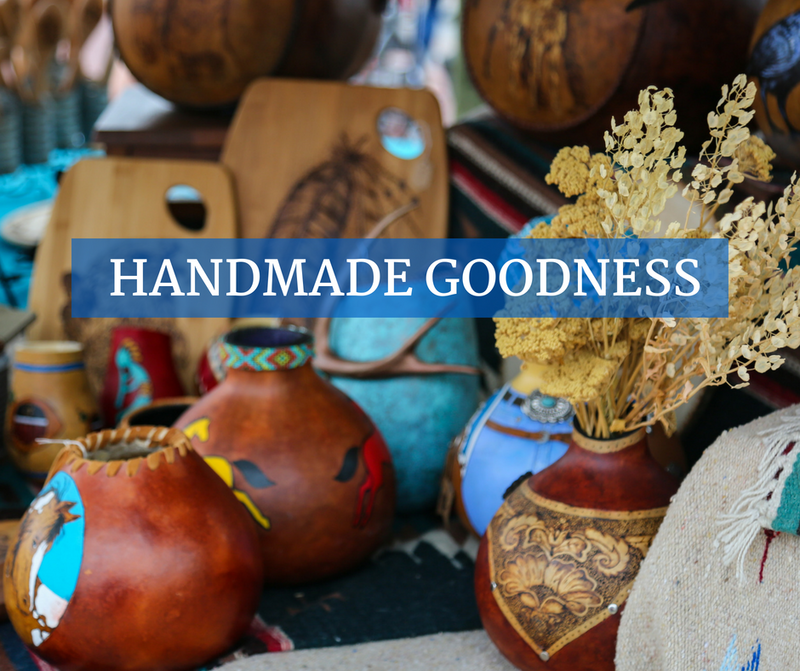 Fill out a craft booth application here or a food booth application here (Food Booths must be non-profit organizations within the USD348 School District Boundaries). 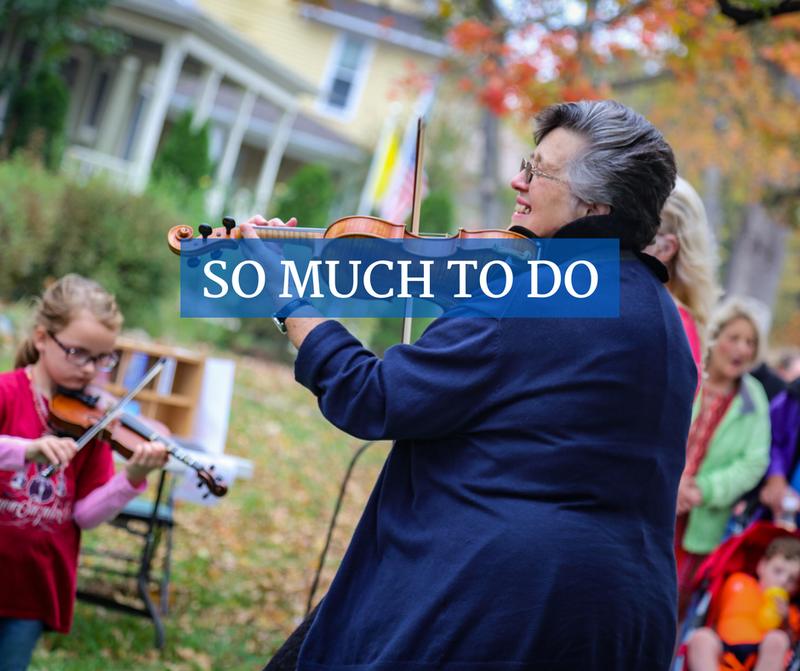 A full carnival, a fantastic parade, live country music all day long, train rides, a 5k, and over 300 craft booths fill the two days with family-friendly fun. Sunday concludes the festivities with additional events and crafts for sale and a quilt show. Review our Schedule of Events to see all that's offered. Quilts to be entered in the show may be dropped off at Quilters’ Paradise at 713 8th Street Wednesday & Thursday 10 a.m. through 5 p.m. and at the quilt show at the school Friday from 9:00 a.m. through 11:00 a.m. Pick up your quilts after the show or at the quilt shop after noon on Monday. 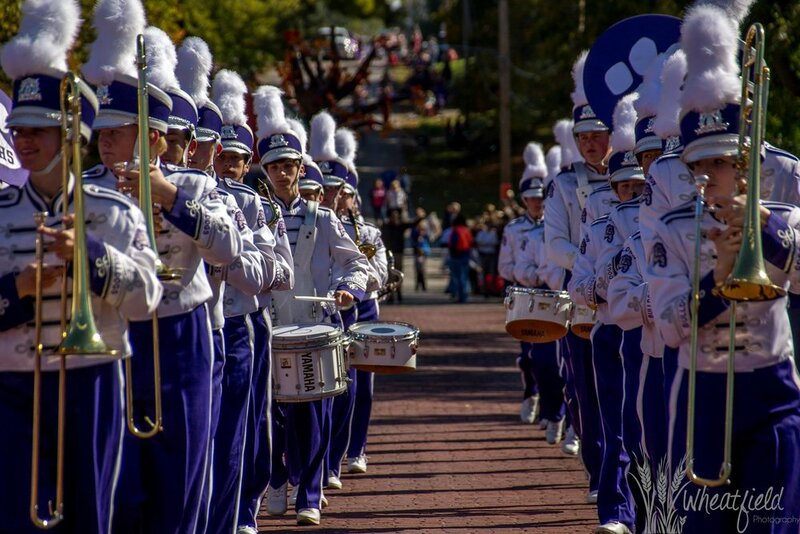 Saturday's parade begins at 11:00 am. Complete with a children's competition, marching bands, floats and antique cars, the parade starts the festival off with a bang. This page has more information and forms for those interested in participating in the parade.